Greece’s financial troubles forced its people to the streets and its fellow European nations to negotiations about bailing it out. But what about the Greek elite? Are there any wealthy Greeks that could have helped out? 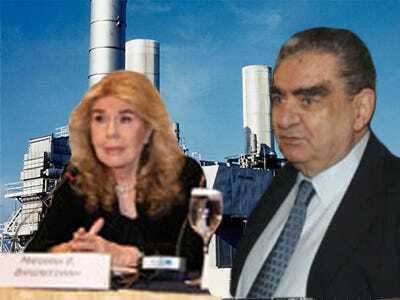 While there are only two Greek billionaires on Forbes’ billionaires list this year, there several Greek millionaire families that have made fortune in the shipping, metal and finance industries. 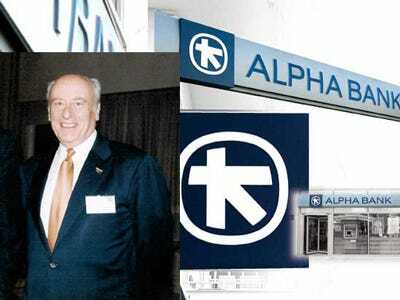 Owner of the largest hardware and software chain in Athens – Plaisio, which is listed on the Athens Stock Exchange. George Gerardos and his son Kostadinos have a 78% stake in the company. Nikos started Good Faith Shipping Co in 1966. His daughter Angeliki Frangou has become one of the most powerful women in the shipping industry at the helm of the American company Navios Maritime Holdings. The family ownsshares in the one of the largest IT Greek companies, Singular Logistics, and one of the largest food industry companies – Vivartia. The family is the official representative for Sweddish furniture company IKEA in Greece, Cyprus and Bulgaria, and own chain stores for German appliances, and franchise chain Intersport. Founder and executive director of the biggest telecommunications and security systems company, Intracom Holdings, Socratis Kokkalis is also a chairman of Intralot – the world’s second largest company for distribution of lottery systems. Socratis owns a quarter of Intralot. He is also teh owner and president of Greece’s most successful soccer team – Olympiacos CFP. George Bobolas has developed properties all over the Balkan peninsula and the Near East for over 40 years. 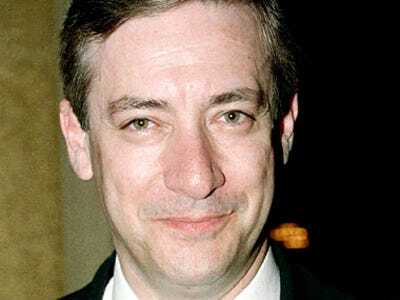 He is also a media magnate – owner fo the TV channel Mega, and several newspaper and magazines. His son Leonidas is the executive director of Greece’s biggest construction group, Ellaktor, where he ownns 15% of the stock. Yannis Costopoulos, 72, is chairman and executive director of one of the largest banks on the Balkan peninsula – Alpha Bank, which was founded by his grandfather 160 years ago. He is also an owner of the Athens Hilton Hotel. The two brothers manage holding company Viohalco, which has produced and traded copper, steel and aluminum for 80 years. 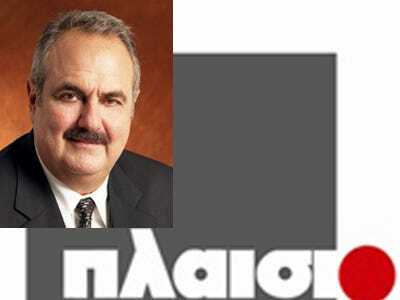 Vardis is president of the company Motor Oil Hellas.The company has a network of gas stations and sells fuel for airplanes. The Vardinogiannis family has also invested in publishing, television and radio industries, as well as a ferry company that serves the Crete island among other. Andreas Canellopoulos and Dimitrios Papalexopoulos are respectively the chairman and CEO of cement company Titan, which was founded by their families over forty years ago. They own 40% of the company, which also has branches all over the world. Many other members of the Canellopoulos-Papalexopoulos clan are also serving on the board of the directors ad hold numerous executive positions at the company. He commissioned Andy Warhol to do a portrait of him in 1985. 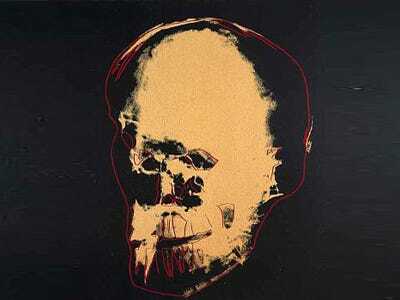 Warhol created a series based on CAT-scans of Philip’s skull. The Greek billionaire is a board member of the Museum of Modern Art. The Latsis family has made its fortune in the shipping industry, but in the last decade it has made investments, spearheaded by Spiros Latsis, in petroleum, finance and real estate. The family owns almost half the the second largest bank in Greece – EFG Eurogbank Greece, and more than a third of Hellenic Petroleum. It has also developed companies providing luxurious yachts and private jets. 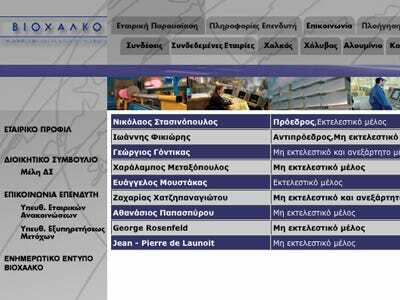 Spiros has a PHD in economic sciences from the London School of Economics. 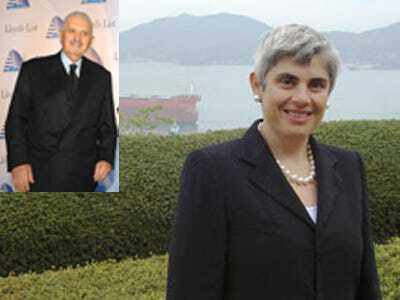 Theodore and Gianna Angelopoulos have been in the spotlight of Greek politics and business for years. Gianna was at the helm of organizing the 2004 Summer Olympics in Athens, and she was Ambassador at large appointed by the Greek government. Theodore’s family developed the steel industry in Greece, and he evolved to become a shipping magnate, acquiring the Dutch shipbuilding company oceAnco and transforming it as a leading shipbuilder of custom-built luxury mega-yachts. 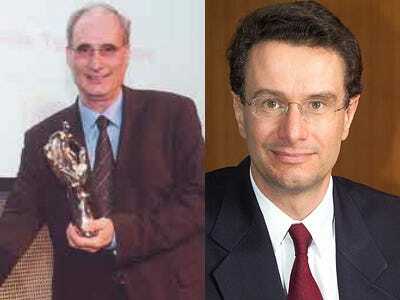 Konstantine’s sons Giorgos Angelopoulos and Panagiotis Angelopoulos also work in the family business. The biggest collective stake in the TV station is owned by members of the family of George Bobolas. One of his sons, Fotios, is a director of Teletypos, the channel’s holding company. 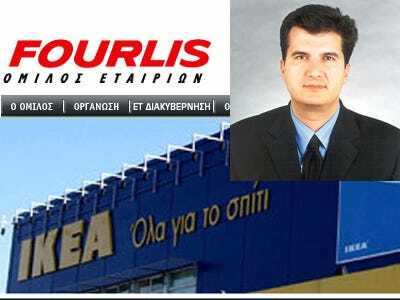 Another son, Leonidas, is chief executive and a major shareholder of Ellaktor, a construction giant founded by his father that has participated in multi-billion euro contracts with the state. Leonidas has no stake in Teletypos. Nikos started Good Faith Shipping Co in 1966. His daughter Angeliki Frangou has become one of the most powerful women in the shipping industry at the helm of the American company Navios Maritime Holdings. The family ownsshares in the one of the largest IT Greek companies, Singular Logistics, and one of the largest food industry companies — Vivartia.